Meet Badger and Melanie, our Pets of the Month for June! 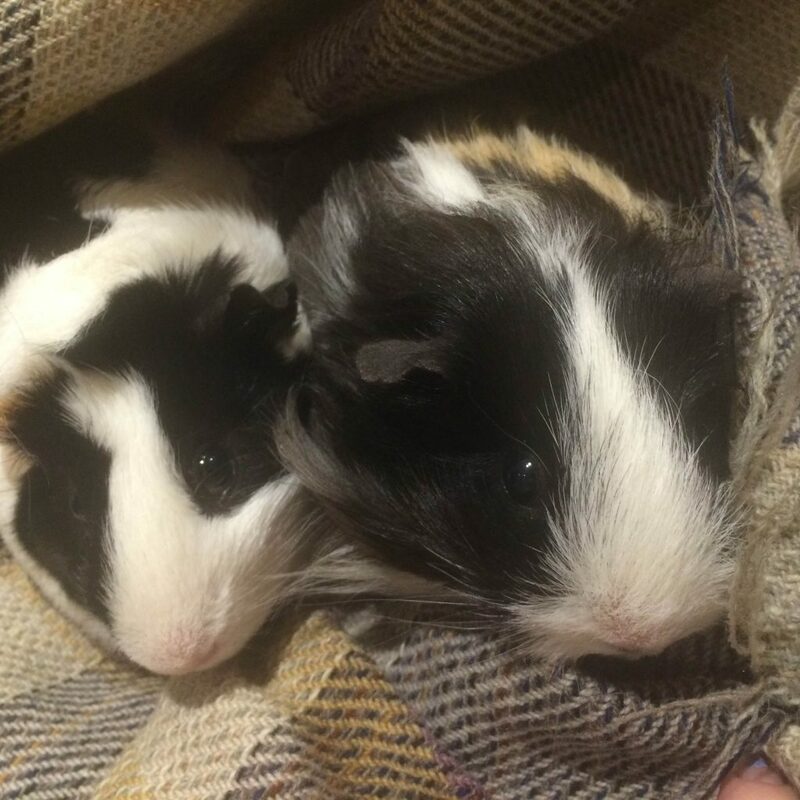 These adorable Guinea Pigs belong to our Omlet Graphic Designer, Jen. She got Badger from a pet shop 2 years ago and Melanie was from a rescue centre a year later, they’ve been inseparable ever since. Jen said she was looking for a pair of pigs but felt too guilty leaving Badger in the pet shop after buying his brothers Oink and Pearl so she bought him too. Here at Omlet HQ we find it quite difficult to tell them apart (is it Badger on the left…?) but Jen said that it’s easy to tell the difference as Badger squeals all the time. He’s also very smooth despite his hair lying in the wrong direction whereas Melanie is wirey, fuzzy and big. « Meet Monique…the hen who is sailing around the world!